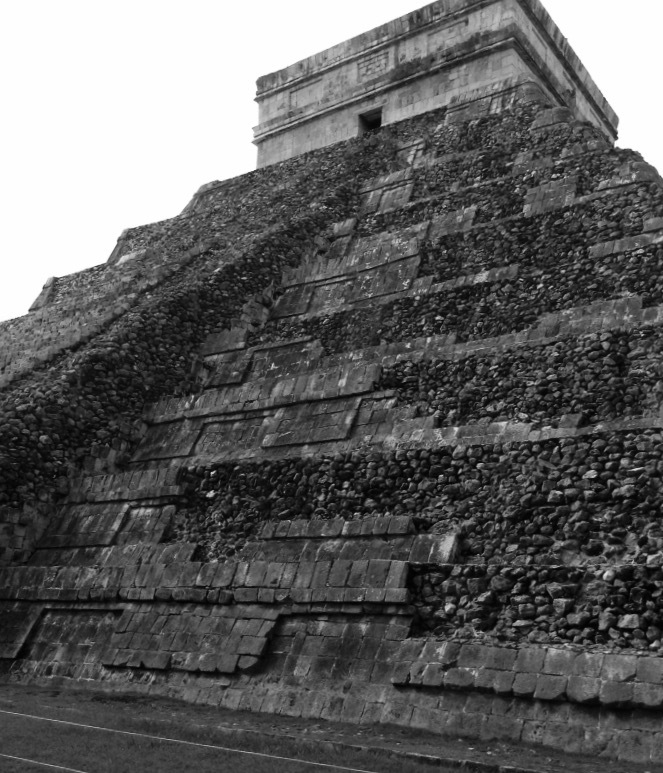 During the Summer, my family and I had the opportunity to go to Mexico and see the Mayan Temple. We were in awe of this ancient structure and I imagined it surrounded by the forest with approaching pilgrims who had come to visit for religious purposes. The structures are now beginning to crumble and the modern visitors come to see what are one of the new wonders of the world. Have you been to visit one of the Mayan Temples? I always wanted to do so. I hope you have a chance to visit Betty. It is awe-inspiring. what a nice place to visit this summer C – 🙂 and great traces of the past connection. It was Yvette. And I loved seeing some traces of the past. I’ve been to many, many Mayan Temples. They are fascinating to see. The photo in B&W is perfect for it. You never know when the opportunity may arrive. Wow, and I thought you were only on the beach. Thank you, Colline. This is terrific.